Anya Thakur: I want to share my story to raise awareness and integrate consciousness and share topics of substance and purpose to inspire young women in their own leadership efforts and pursuing their potential. Anya Thakur, teen celebrity journalist and UN Women advocate (above). As my grandmother called to wish me a happy Navratri, a Hindu festival on which girls are celebrated and honored, a few days ago, I am constantly reminded of the power and importance not only women, but all people who know their worth, have. Each day I am working to further my work as a UN Women advocate and with ShePower, a global organization I founded in partnership with We Movement and MetoWe to empower women in India and globally. A representative from UN Women recently reached out to express their support for my work and I was honored to learn my UN Women campaign is the first to be launched by an Indian teen! My campaign spotlights the importance of educating and uplifting girls and my work with ShePower , as many underserved women lack access to sanitary pads and hygiene products and in rural India, stigmas prevent girls from going to school and receiving adequate health information or products for menstruation. My aim was to raise awareness of an important issue faced by underserved girls and women in the US, the work I am doing in India destigmatizing periods and to empower and uplift women and their communities, having worked extensively and led outreach efforts in downtown Dallas by donating over 5,000 pads funded by a grant from the Jane Goodall Institute, as well as hosting empowerment and self-defense workshops and disseminating health information and products in parts of India such as Delhi, Coimbatore, Manipur, Tamil Nadu, and Mumbai. I want to share my story to raise awareness and integrate consciousness and share topics of substance and purpose to inspire young women in their own leadership efforts and pursuing their potential. I work with ShePower and GirlUp Dallas to provide health education and donations in downtown Dallas to Chetna-DFW, and on LA’s Skid Row with LA’s Women’s Shelter with my UN Women and Jane Goodall Foundation grants. 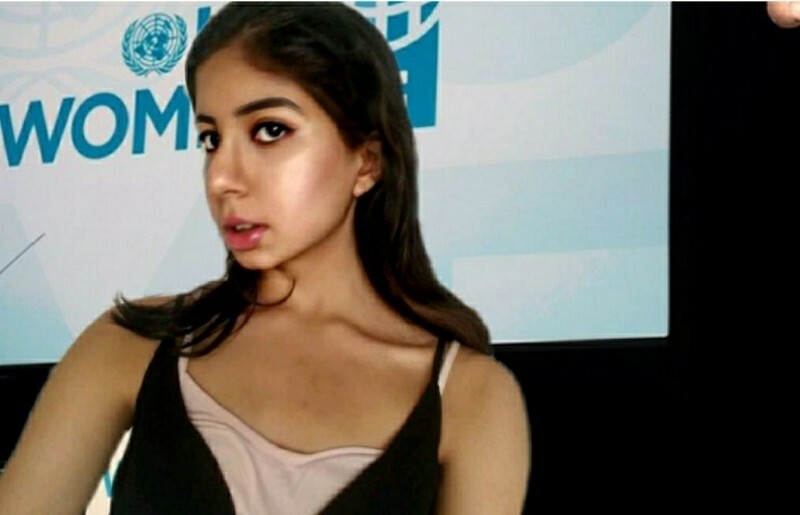 Anya Thakur, teen celebrity journalist and UN Women advocate (above). Image courtesy of Anya Thakur for UN Women. Tremendous progress has been made in education in enrolling boys and girls in school equally. But to build on this achievement and ensure all girls and children reach their fullest potential, it is imperative that they are given the tools they need to succeed and encouraged to complete secondary education and lead productive lives. As a UN Women advocate, I strive to ensure positive outcomes for all girls and people. I am honored to cover stories on empowerment, equality and impact and to be the first Indian teen to work with the United Nations in such a capacity and helm a campaign to educate and empower girls and women. Anya Thakur is an award-winning teen celebrity journalist and UN Women advocate. As a champion for the increased visibility of minorities, she is spearheading the mission to elevate women and diverse voices. In the Los Angeles Times HS Insider and as the Women’s Voices Editor for Medium, Arts & Entertainment Editor for Arianna Huffington’s Thrive Global and an Arts & Entertainment journalist for LinkedIn, she celebrates and creates stories of impact and purpose. She uses her platform to increase the visibility of women in media, having profiled a host of game-changers from Malala Yousafzai to Oprah Winfrey, Nobel Prize winners and UN Global Goodwill Ambassadors. 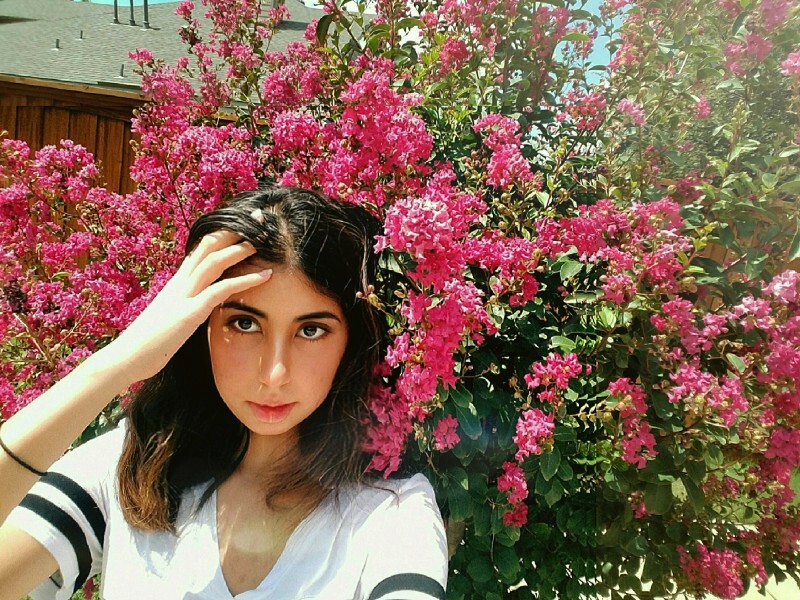 Her work has been nationally recognized by the Scholastic Art and Writing Awards and National Student Poets Program in Carnegie Hall and her poetry has won a National Gold Medal as the most outstanding in the nation. She works closely with the United Nations, UN Women, We Movement and the Jane Goodall Foundation to build a better future and empower girls globally. ShePower, a global organization she founded in partnership with MetoWe, hosts self-defense, and language and literature workshops to empower rural women in India such as in Delhi, Coimbatore, Mumbai, Manipur, and is active in the United States and Canada. She leads humanitarian efforts with Myna Mahila to create opportunities for women and girls. Her women's advocacy promotes UN Women's mission to empower women and eradicate inequality. As an advocate for UN Women and the first Indian teen to launch a UN Women campaign, she is honored to join the ranks of luminaries like Emma Watson and Angelina Jolie, known for both their body of work and their activism, and create a lasting legacy for this generation. Through championing women’s voices, Asian American representation and global change as among the nation’s youngest to be involved with the UN on a global level, she has found her voice and aspires to help every potential leader find their own.